This beautiful bracelet looks a million dollars! 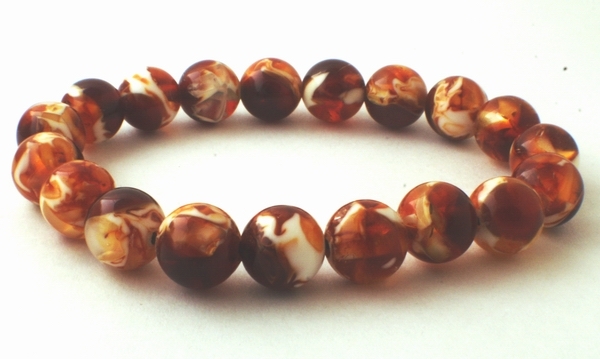 Measures 2 1/2-inches with 10mm reconstituted amber beads. Expands to fit all.